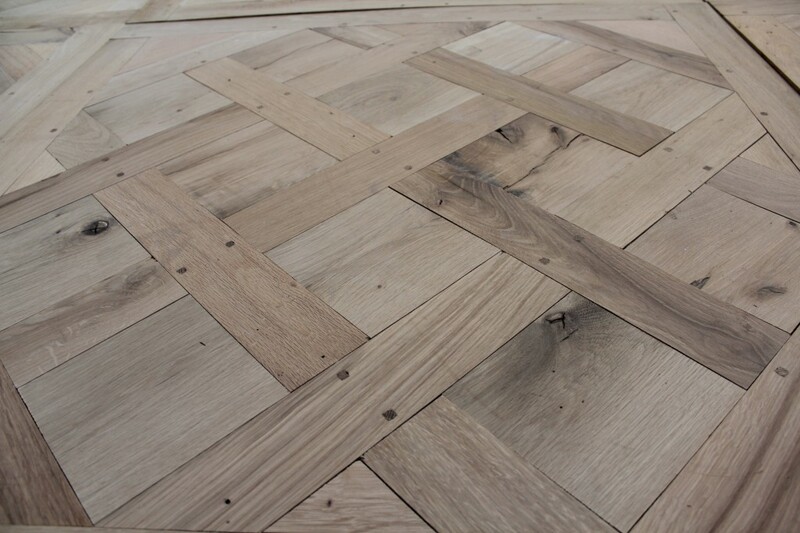 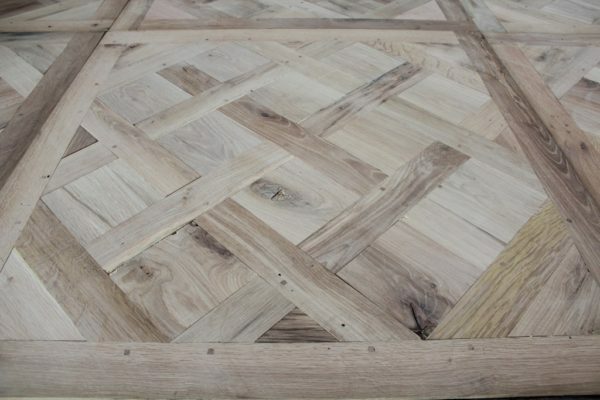 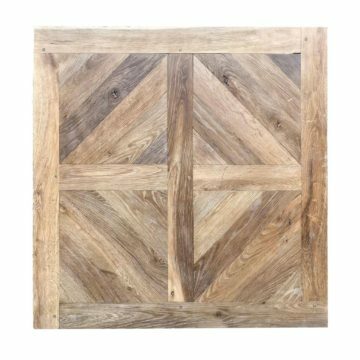 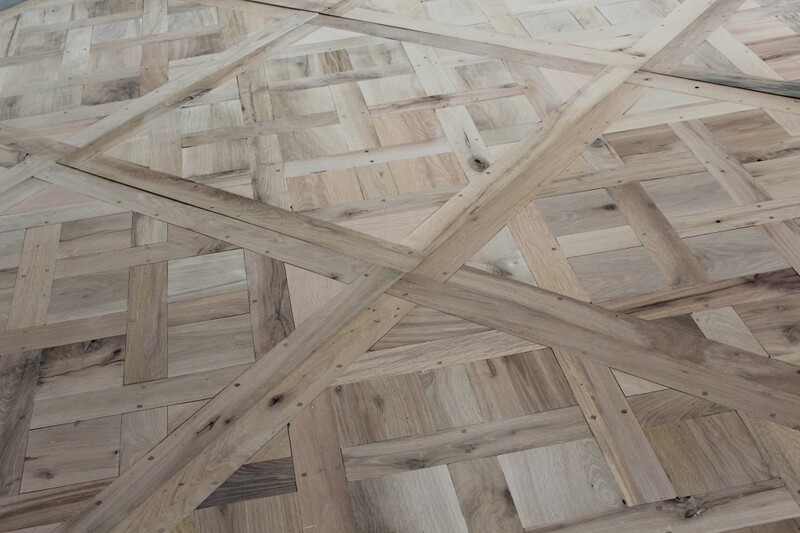 Antique French oak Versailles panels : Traditionally assembled Versailles panels, with a planed finish but un-treated, suitable for rapid installation achieving an authentic antique French floor straightaway. Hand-made from BCA’s genuine antique reclaimed French oak stocks (France’s best), remilled with mortice and tenon joints and assembled into panels using pegs in the traditional French way (certainly NOT thin strips glued to plywood as “faux” flooring !). 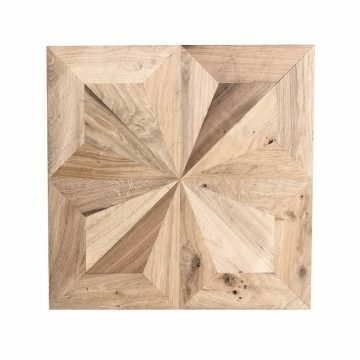 Our Versailles panels are supplied with “loose tongues” in oak which slide into the grooves in the edges of each panel, thereby each panel is jointed to the adjacent panels. 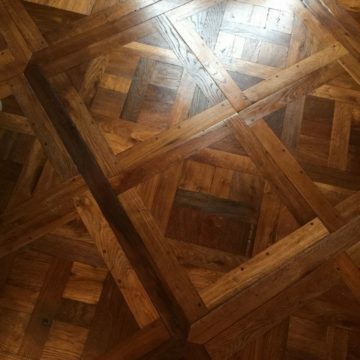 Separation strips with 45° points are optional (and highly authentic), and can be seen in this configuration in many French chateaux including Versailles of course. 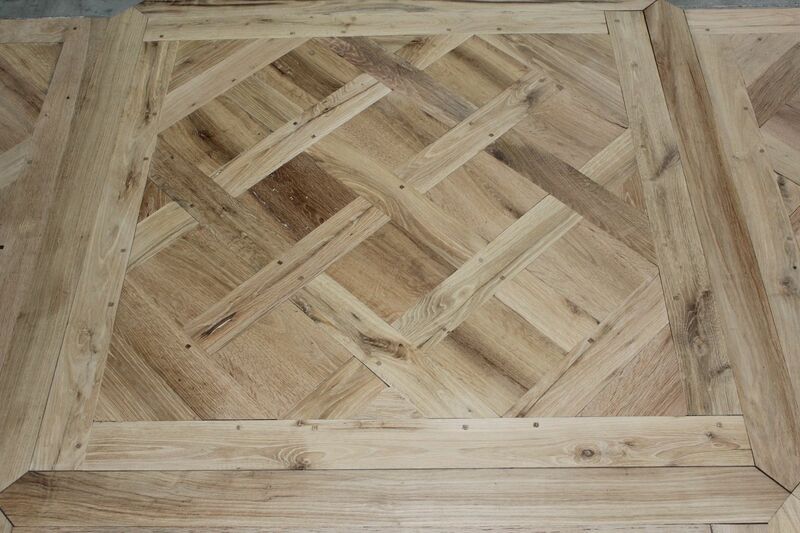 Metric panel dimensions approx: 100 x 100cm (1 square metre per panel) x thickness 20mm. 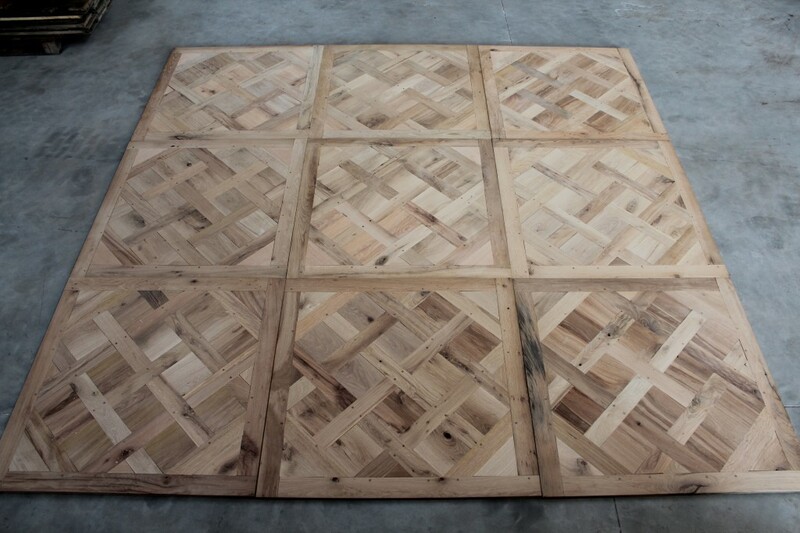 Imperial panel dimensions approx: 39.37 x 39.37″ inches (10.76 sq ft per panel) x thickness 0.87 inch. Bespoke formats are possible for specific room sizes, and other pieces such as skirting boards, stair treads, floor boards for borders and doorway thresholds etc – contact us.